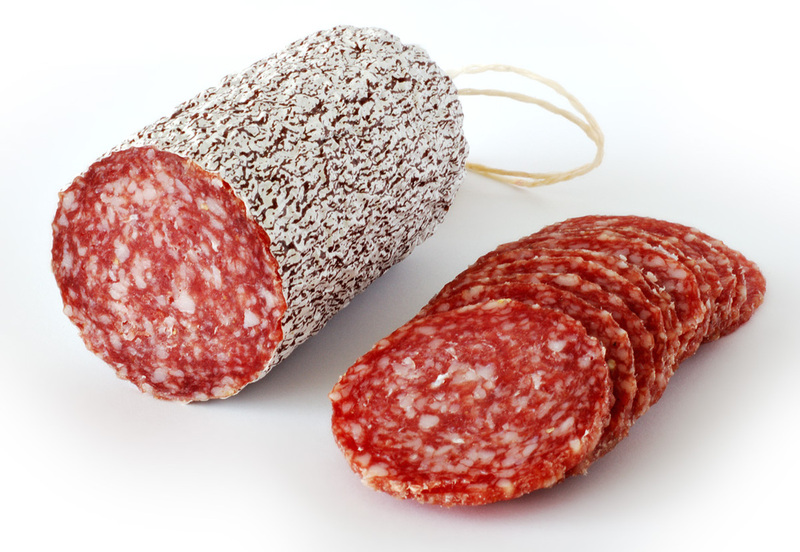 Salami is a type of sausage which is not cooked with heat, but is instead allowed to ferment and cure, and is then dried. 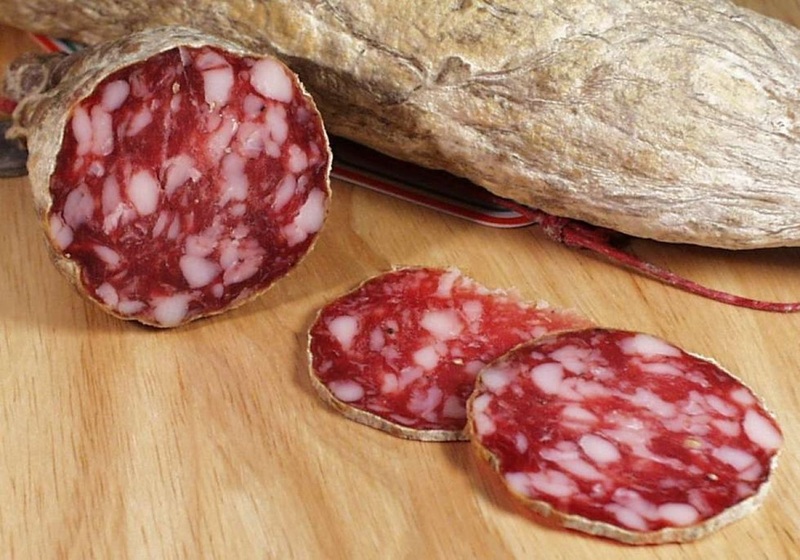 The term 'salami' is Italian, but varieties of cured sausage can be found around the world, I've listed several of the best known. 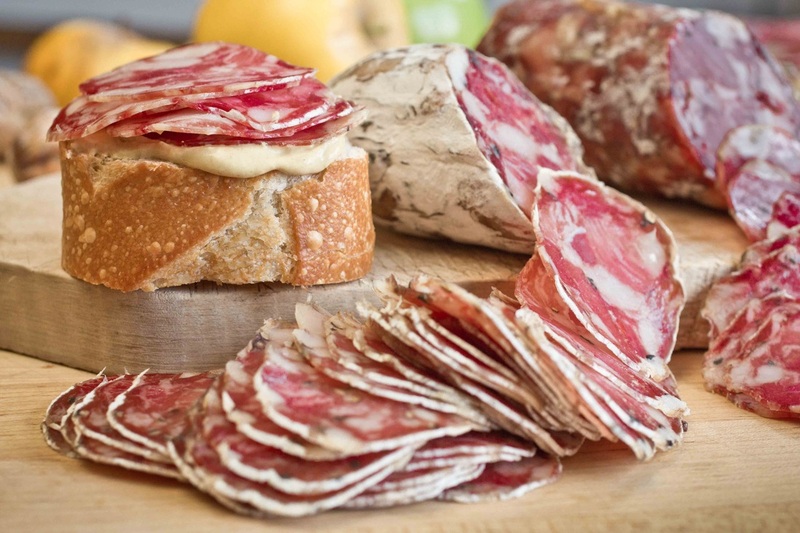 Many different meats are used to produce Salami, though pork, beef, venison, and veal are all fairly common. Salt, Pepper and Garlic are commonly added flavorings, but other spices, herbs, wine, vinegar and fat are also sometimes used. 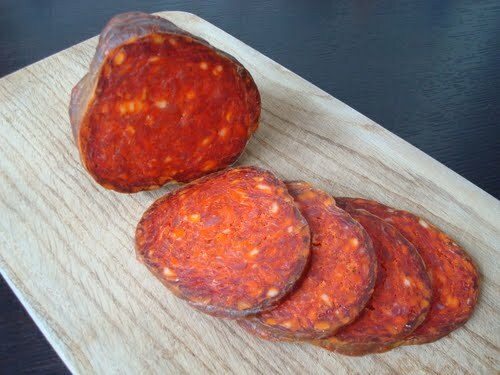 Salami is usually a fairly hard sausage, making it easy to slice thinly for use in sandwiches or to be enjoyed by itself. 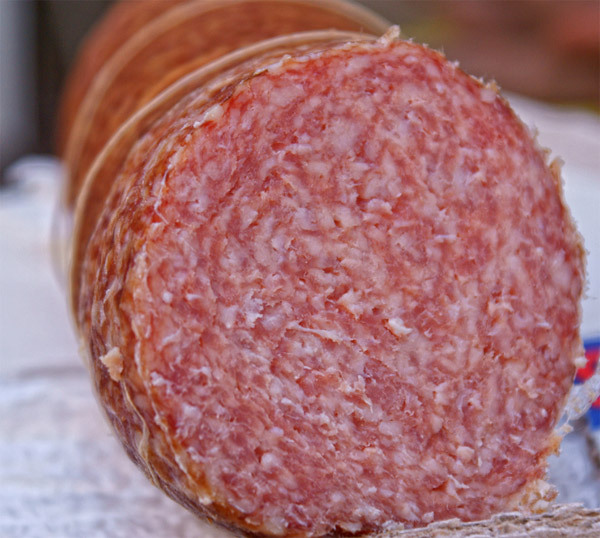 When cured properly, salami is safe to eat, without refrigeration, for several years. 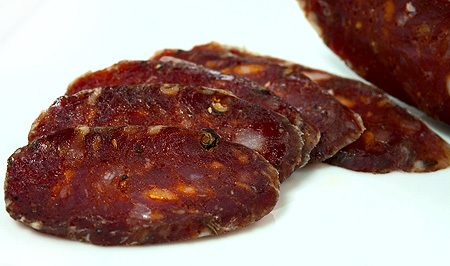 This longevity is one of the major reasons these sausages were so popular prior to the development of refrigeration.